The greatest show on earth. That was exactly how last summer’s Olympics were described. In an amazing summer of sport for Britain the London Games were the undoubted highlight. From gold-medal winning stars like Andy Murray, Katherine Grainger, Chris Hoy, Jessica Ennis and Mo Farah to the unsung heroes who were known as the Games makers, it was a spectacular that will never be forgotten. In the lead-up to the games, 8,000 volunteers and nominees were part of the Olympic Torch relay as torchbearers. One of the lucky 8,000 was 16-year-old Christopher Wardlaw, a pupil at Perth’s St John’s Academy. 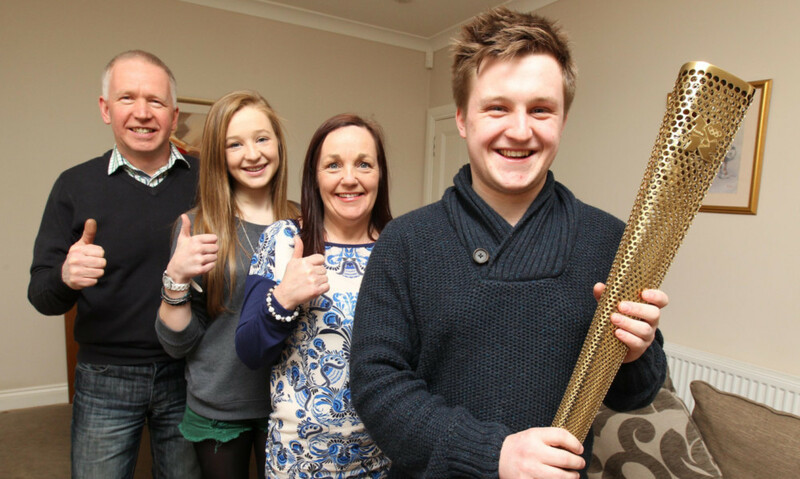 Christopher’s once-in-a-lifetime experience came when he carried the Olympic Torch on its journey through Scotland in June last year and he was selected to bear the Olympic flame in Stirling. Christopher had been nominated to be part of the torch relay after he suffered a brain abscess when he was in Primary 7 leaving him very poorly. Thankfully Christopher made a full recovery from his illness. In a bid to make the whole experience complete Christopher’s parents, Louise and Michael, decided to purchase an official torch stand and torchbearer’s pin badge to go along with Christopher’s torch as a lasting memento of the occasion. They ordered the items from the official London 2012 shop and looked forward to the day they would arrive. However, that day never did come as the order didn’t arrive. The Wardlaws contacted the Olympic Shop on numerous occasions but, unfortunately, could not get a positive response as to when their purchases would reach them. Then the couple were given news which left them devastated. The official London 2012 shop had closed and no longer existed, leaving them with no-one to contact in their bid to get the goods they had ordered at a cost of just over £50. With no other means of progressing their complaint they emailed Raw Deal in the hope that we could possibly find some way of getting them the goods. We got in touch with LOCOG the London Organising Committee of the Olympic Games and Paralympic Games Ltd and very quickly they were able to deliver some much better news, and more importantly the goods, to the Wardlaws. A London 2012 spokesman told us: “We would like to apologise to the Wardlaw family for any distress that this delay has caused. Louise said: “We can’t thank you enough for all your help. This is the second piece of good news we’ve now received.